Jeremy Lin is not a superstar. He is not better than Magic Johnson, he should not be an All-Star this year, and he is not “The One That Got Away” from the Warriors. Don’t get me wrong, he’s a talented player and has worked extremely hard to play at the level he’s playing at now. However, so many fans and NBA commentators are making this whole “Linsanity” situation, well, pure insanity. Out of 47 games in his career, Lin has had nine “good” games, all in the last nine Knicks games (out of 18 games played with the Knicks this season). Defining a “good” game is a little tricky, however. In one of those nine games, Lin only had 10 points compared to his other point totals such as 27, 20, 23, etc. However, let’s still call it a “good” game because he still had a double-double (10 points, 13 assists). In those nine games, Lin has averaged 25 points per game, 9.2 assists, 50.9% field goal percentage, 70.8% free throw percentage, and 33.3% 3-point percentage in 38.9 minutes per game. These are definitely impressive numbers, however, he’s also averaging 5.9 turnovers per game. A 1:1.56 assist to turnover ratio is pretty pathetic, even for a second-year player. On February 17th, the Knicks played the Hornets and Jeremy Lin finished the game with 26 points, 5 assists, but 9 turnovers in 40 minutes. The Knicks had 21 total turnovers in the game, and it is simply unacceptable for a player to have almost half the turnovers and only 5 assists. Overall, Lin’s stats in the past nine games have been impressive, yet, ultimately, they are quite inflated. Because of this, Lin’s game has become overrated and all this hype surrounding him has become extreme, and, in some cases, unwarranted. Lin’s numbers are higher than they should be for several reasons. One reason why Lin’s numbers appear inflated is because he is now playing more minutes and, most importantly, playing in a Mike D’Antoni system. He’s known for playing the run-and-gun style and opening up the floor for point guards. This type of system allows a team to score a lot of points quickly and for “hot” players to get as many points as possible. Jeremy Lin is currently the player benefiting most from the system. He’s averaging 17.8 shots per game, which is definitely more than a player of his caliber should be getting. He’s also getting to the free throw line eight times a game, which is also a fairly high number. It seems as though if Lin played in a more normal, half-court system like the Spurs or the Lakers have, he would not be able to take as many shots, and, therefore, not score and distribute as much as he has recently. Another reason why Lin is overrated is because of how he became a starter. The New York Knicks had no clear starting point guard at the beginning of the season. Both Mike Bibby and Baron Davis (acquired in the offseason) were injured, so the Knicks started Toney Douglas, an unproven second-year player. Douglas was inconsistent throughout the beginning of the season, so D’Antoni decided to start Lin simply because he was the next best option, with both Bibby and Davis still injured. With both Amar’e Stoudemire and Carmelo Anthony out with injuries also, Lin was able to explode on offense because of no other viable offensive weapons. He simply took advantage of a situation where he could play without any pressure of losing his starting job. It will be interesting to see if he will be able to maintain this type of play once he has played more games with both Stoudemire and Anthony. If he wants to continue to score as much as he has been, it will hurt one of those players’ numbers, which might not be easily accepted by Stoudemire or Anthony. Because of all these beneficial circumstances, Lin’s success would not have happened on any other team. This is a controversial topic, but would this type of success and excitement happen around another player that wasn’t Asian? The NBA has had its fair share of fast heroes. The story generally dies off quickly though because of poor play or just a loss of appeal. The fact that Jeremy Lin is one of few Asian Americans to ever play in the NBA is definitely a great marketing angle for all the sports broadcasters, commentators, and other media members. Lin would get attention for his recent play no matter what race he was, but would it be this hyped and outrageous? I doubt it. ESPN and all other sports stations love the fact that not only is the “underdog” in the story finally proving himself, but also that he is of Asian descent. No, Jeremy Lin is not “The One That Got Away.” The Warriors waived him this past offseason to clear room for a potential acquisition of DeAndre Jordan. 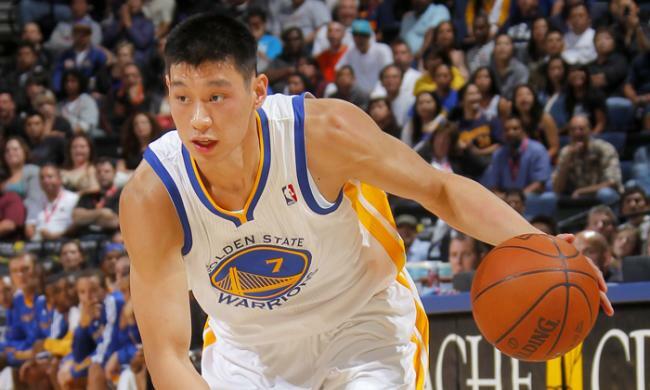 Although the Warriors never acquired Jordan, Lin was never in their future anyway. The Warriors have an abundance of options now at the guard position including Stephen Curry, Monta Ellis, Klay Thompson, Charles Jenkins, Brandon Rush, and now Nate Robinson. Even if the Warriors hadn’t acquired Robinson, Lin would have had to compete for a small amount of minutes with Jenkins and Ellis for backup point guard duties. Lin had his opportunity last season to solidify his role on the Warriors, but it never happened. After being waived by the Warriors, he was claimed by the Rockets. He only played in two preseason games for them and was then cut the day before the regular season started. On the Rockets, he had to compete with Kyle Lowry, Goran Dragic, and Jonny Flynn for playing time, but if he’s now one of the “best point guards in the league”, why wasn’t he able to to prove himself over these mediocre point guards? He didn’t because he needed the perfect opportunity on the perfect team (with no point guard) to show his worth. I don’t begrudge Lin any success. He has worked extremely hard and has fought through many stereotypes, but his play does not warrant the ridiculous amount of praise he has received recently. I hope that all basketball fans can look at the Jeremy Lin saga objectively. Don’t get sucked into all the hoopla. It’d be best to analyze his stats, praise him when warranted, and critique him constructively. Jeremy Lin has played a grand total of nine good games in his career, but he still has been committing way too many turnovers. Fans can see his progress, but don’t make absurd assumptions that he’s better than Magic Johnson or that he’s one of the best point guards in the league only after nine games. 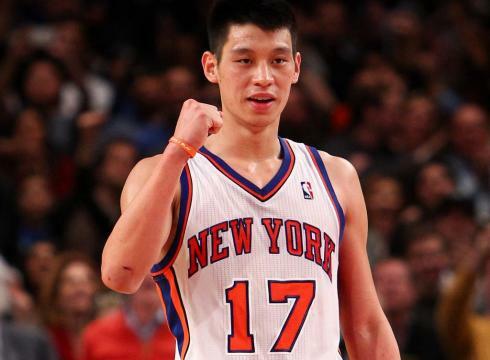 Jeremy Lin is not “The One That Got Away.” He’s the one that is taking advantage of a great opportunity. On January 30th, Blake Griffin executed one of the most electrifying dunks of the season. He absolutely posterized Kendrick Perkins and, while doing so, showed off his high vertical leap and his incredible hangtime. Is this the best dunk of the year so far? WARNING: Be prepared. You will be amazed. One night before Blake Griffin’s dunk, LeBron James executed an amazing dunk of his own. So far, this is really the sole competition to Blake Griffin’s dunk for “Dunk of the Year.” LeBron James shows off an even more impressive vertical leap by literally jumping over John Lucas of the Chicago Bulls. The dunk was also off of an alley-oop pass, which is always fun to watch. Is this dunk better than Blake Griffin’s? I personally believe that LeBron’s dunk was technically more difficult than Blake’s. However, Blake Griffin’s dunk was so menacing that, for me, this was the dunk of the year. The first time I saw the dunk, I was in complete and utter shock. I had to watch it over and over again to really comprehend how incredible this dunk was. Chris Mullin claimed that this was the best dunk EVER. However, I don’t agree with this at all though. Does he not remember Vince Carter’s dunk in the 2000 Olympics over Frederic Weis of France?! That dunks was absolutely insane and definitely one of the best dunks of all-time. One of my favorite dunks has got to be Baron Davis’ dunk on Andrei Kirilenko during the 2007 playoffs. As a Warriors fan, this was the ultimate statement of “We Believe.” Although the Warriors lost that series to the Jazz, they were able to make a statement that the underdogs can prevail. Baron Davis electrified Oracle Arena with this dunk and it will go down as one of the best dunks in Warriors history. What are some of your all-time favorite dunks?